With this volume, the holy trinity of fairy tales - the Brothers Grimm, Charles Perrault, and Hans Christian Andersen - becomes a quartet. In the 1850s, Franz Xaver von Schönwerth traversed the forests, lowlands, and mountains of northern Bavaria to record fairy tales, gaining the admiration of even the Brothers Grimm. Most of Schönwerth's work was lost - until a few years ago, when thirty boxes of manu­scripts were uncovered in a German municipal archive. Now, for the first time, Schönwerth's lost fairy tales are available in English. Violent, dark, and full of action, and upending the relationship between damsels in distress and their dragon-slaying heroes, these more than seventy stories bring us closer than ever to the unadorned oral tradition in which fairy tales are rooted, revolutionizing our understanding of a hallowed genre. When the blurb says "unadorned", they truly mean "unadorned". I've seen others critique this aspect of the stories, but honestly it's what stood out as authentic to me. I loved reading these as simple tales, exactly as they would have been told to Schonwerth, without the years of embellishment and "prettying up" that has gone into many updated stories of Grimm, Anderson, and Perrault. Schonwerth's work is a straight from the source, unfiltered by repetition version of the traditional stories that were told in Bavaria (now Germany). I thoroughly enjoyed the chance to read something fresh and new in tone, even if there is some overlap with traditional fairy tales. I'm a huge fan of fairy tales, so of course I thoroughly enjoyed this collection. As I mentioned above, it does contain some overlap with the stories of the Brothers Grimm and Perrault, but Schonwerth's voice is obviously unique from theirs and the stories contain unique adjustments. There are also a multitude of new stories, many of which are dark and bloody, which is exactly how I like my fairy tales. I'm also very intrigued by the idea of oral histories and stories and legends that are passed down from person to person. Reading this collection felt like having a window into the oral history of Eastern Europe. 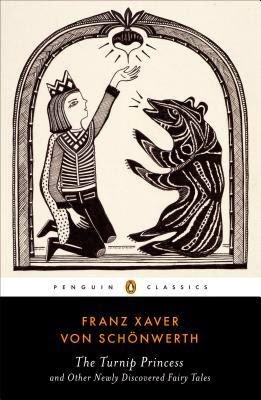 I certainly recommend this one to fans of history, particularly in Eastern Europe, as well as to fans of traditional fairy tales. I'm not sure it's for those who are expecting Disney-esque versions of fairy tales in a form that is formal or eloquent. The value of these lies in the history and oral tradition and readers should enter the book from that perspective. Thank you to Andrea at Penguin for providing me with a copy to review!